Best Resume Templates are your biggest aides when looking for a job. An eye-catching, yet clean CV will never lose its relevance. What’s more, it will highlight your professional abilities among other applicants. True, not everyone is apt at putting together a quality resume fast. So, why not use the tools at hand? Take a closer look at the 10+ Best Resume Templates offering a set of high-quality CV templates. Whether it’s a basic Word resume or a more intricate Adobe Illustrator file intended for creative professionals, you’ll find an item to feast your eyes upon! What’s great about this resume pack, anyone will find an item catering to their need. What Are the Benefits of Using Best Resume Templates? Apart from ready-made design, you also get print-ready CV templates in 300 dpi resolution! So, you don’t have to make any extra adjustments to make them look eye-catching on the paper. Thanks to the labeled and organized layers in the AI files, the initial resume template is fully editable and customizable. To be able to use the supplied templates, one has to be a skilled user of Adobe Illustrator and Microsoft Word text editor. How to Use Best Resume Templates? After you’ve purchased the set of best CV templates and downloaded the template ZIP file, you can start using them for your purposes. All of the needed fonts come packed, you need to install and set them up on your computer. Next, open the template in your software to make all the necessary changes and fill in your data. Finally, you can save the ready template as a PDF file to email or print it for further use. Purchase 10+ Best Resume Templates to get the vacancy you’ve been dreaming of with a professional resume! The main task of your resume is to distinguish you and make your employer invite you to an interview! But you have to agree, in order to create a resume and ably complete it, you need to spend a lot of time, which so often is not enough for anything. Therefore, applicants mostly do not care much about the appearance of their resume or spend hours to make it look good. However, you can easily avoid both the first and second options and save your nerves and time. Trust the professionals who created for you Resume Bundle and form a good resume which is interesting to read and where the navigation is simple and easy. This stunning set of the best resume templates is created on all quality and usability standards. 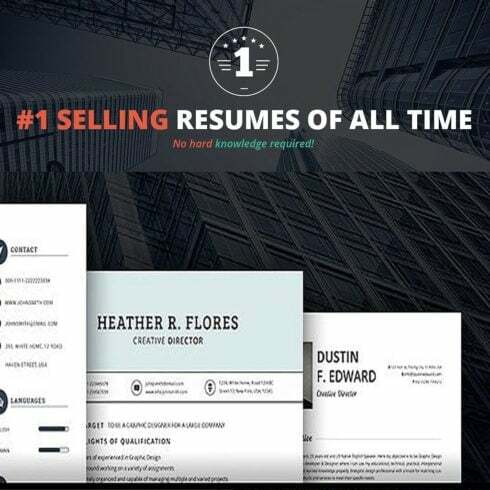 It has resumes for every taste and includes 10 resume templates Word and Ai ready to modify and style up in Microsoft Word and Adobe Illustrator. To proceed with the installation, you need to buy and download the template ZIP file. Then set up required fonts which are annexed and enable the template in your software to fill in your data. After that save the template as a PDF and email/upload or print it for use. Of course, it’s up to you how to write your resume and what to say in it! But if it meets these three simple parameters, your chances of an interview with the employer will rise significantly. Always remember that the document must tell only the truth. Surely, you shouldn’t focus on the shortcomings, try to present your dignities in the best way – not only as an employee but also as a person. It should consist of simple words and expressions, without formalism (those same words copied from your job description), your phrases should be written by you personally, and not copied from the Internet. All sentences have to be fairly short, without complex structures. Besides, more attention is paid to the personal qualities of the employee when selecting candidates. Therefore, your personal qualities, especially if they correspond to what is required in vacancies, are extremely important. To find a job that meets your wishes and demands, which would suit you, based on the available knowledge, skills, experience, it is important to take the right steps based on common sense. With Resume Bundle, you can forget about the form and structure of the resume – all you need is to present the data in such a way that it looks positive, energetic and demonstrative. 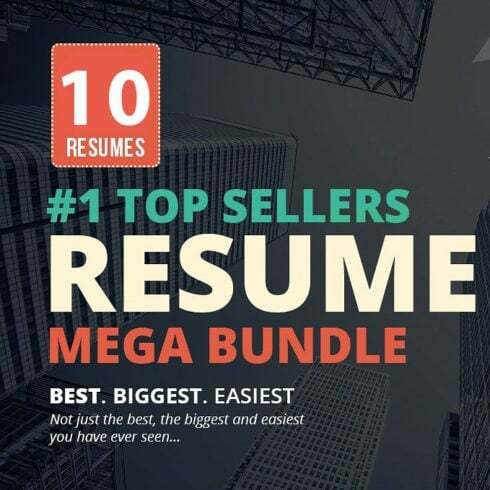 With Resume Bundle, you can create a million dollar resume built in a form of a success story, where each phrase adds value to it. Each of us worked somewhere, tried to work, thought to work, or thought that it would be not bad to think about work, or not to work at all. Due to the fact that work is directly connected with our material well-being, and in its turn, it has a direct impact on the degree of our external freedom, the subject of job search seems very important. Everyone knows that a resume is a necessary attribute in finding jobs. And despite experience you have or a position you want to get – any employer will necessarily demand it from you. Why is it needed at all and how can it help in this difficult task – the job search? Actually, the resume is a brief overview of your previous work experience, knowledge, skills and results that can fit exactly to the company you are applying to. This is your first contact with your possible employer, often in absentia, and all your future destiny depends on how this contact will happen. If you want – this is your ticket to the future – and if the employer, after watching the ticket, calls you for an interview – it means your ticket is appropriate. The main purpose of the resume is to distinguish you against the background of other applicants, to attract the attention of the employer and, finally, to invite you to an interview. And this is very difficult to do. Imagine for a moment the fact that the mailbox of your potential employer is being flooded by tens or even hundreds of resumes (depending on the size of the company) per day. And he will spend maximum 30 seconds to look at your resume – during this little period of time your future destiny will be decided and the main question of the employer “Is this employee suitable for me?” will be answered. During these 30 seconds, the employer must have time to get acquainted with your personal data, get information about your education and work experience, learn about your goals and achievements and see in your person his potential employee. And remember – you only have 30 seconds!